Foil Premium Cards (2) given as door prizes (Min. 30 Points). 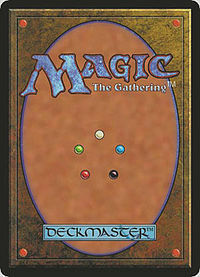 The format for the next Arena season is Return to Ravnica/Gatecrash Sealed Deck. of their choice (while supplies last). All 10 Guilds are available but supplies are limited. If all Guild packs are gone, each entrant will receive 6 boosters of Return to Ravnica or 6 boosters of Gatecrash to build their deck. Minimum deck size is 40 cards. Basic lands will be provided. Sideboard will consist of the rest of the cards in purchased pool. Each week, after the first, an additional booster of Return to Ravnica OR Gatecrash may be purchased and the cards used to modify the deck.